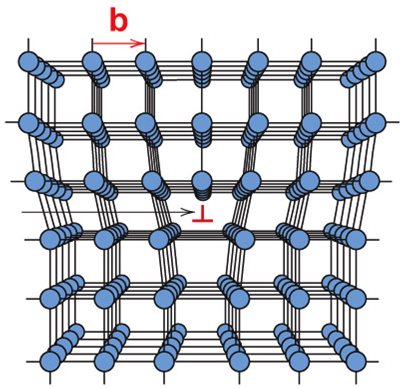 In contrast to ideal, faultless crystal lattices (the atoms are on fixed lattice positions), the lattices of the real crystals have irregularities. These types of lattice defects occurring during solidification of the melt but even more through cold forming and diffusion processes, have a great influence on the reforming properties and cause cold solidification. 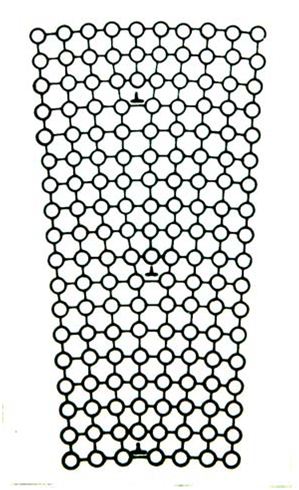 Usually, the distinction is made between zero-dimensional lattice defects (Fig. 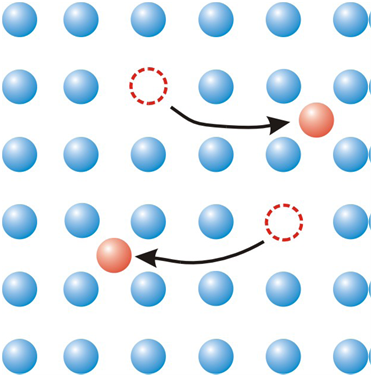 1) or point defects (foreign atoms or gaps), one-dimensional lattice defects (Fig. 2) or line defects (dislocations) and two-dimensional lattice or spatial defects (Fig. 3) (grain boundary or stacking defects).